The United States Patent and Trademark Office is celebrating Valentine’s Day with a special world premiere music video featuring a Barbershop Quartet singing the praises of — and professing love for — patents and trademarks. This music video is a part of the #IPlove social media campaign launched by the USPTO for Valentine’s Day, a spin-off from last year’s #PatentLove and #TrademarkLove series. 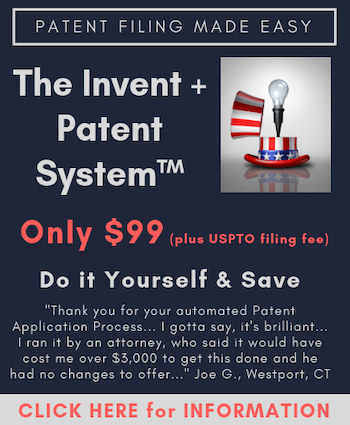 Part of the USPTO’s mission is to educate the public about the importance of innovation and Intellectual Property and the Office’s use of creative use of social media continues to generate awareness of how intellectual property touches our daily lives, and supports the U.S. economy. Watch the USPTO’s barbershop quartet-inspired intellectual property love song below, and share it on social media with the hashtag #IPlove. Lyrics were written by the USPTO’s own Matt Palumbo, and Steve Delehanty of the Alexandria Harmonizers arranged it for four voices. The singers are the Alexandria Harmonizers’ Anthony Colosimo, Christian Hoff, Andrew Havens and Joseph Cerutti. Bravo!! Best online bit I’ve seen in months! Keep in the archives for next year.